The Bucas Celtic Stable Extra Rug is a heavyweight stable rug with 300g fill that offers superb performance, strength, durability and quality. 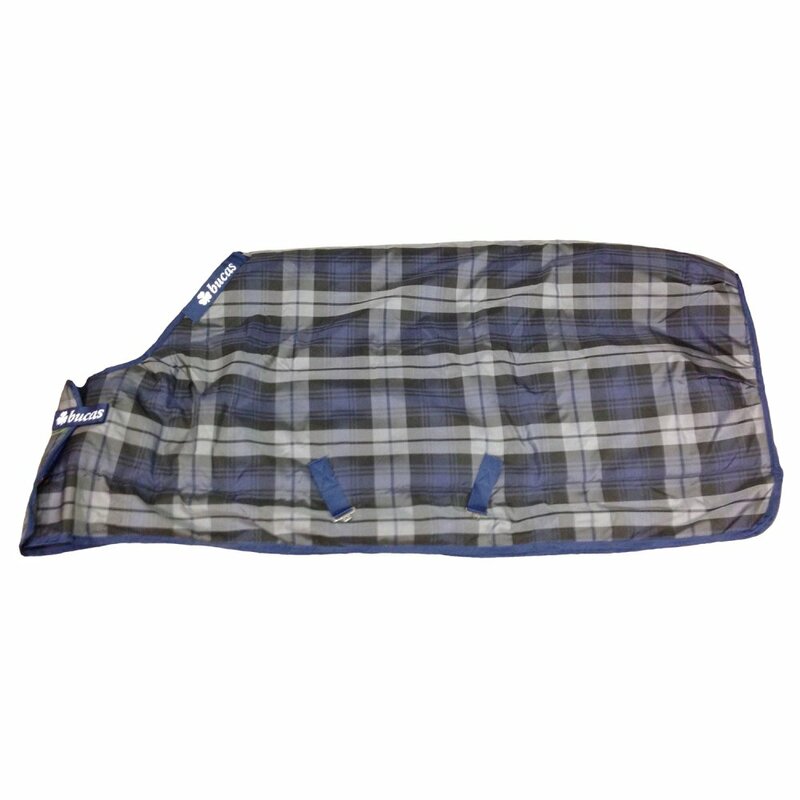 This Bucas stable rug is made using a Polypropylene outer fabric with a Bucas anti-bacterial Stay-Dry lining to wick moisture away from your horse ensuring they're always dry and comfortable. This stable rug can therefore dry a wet or sweaty horse extremely well and can be put on a wet horse the same way as a sweat rug. It will quickly dry the horse and can be left on, thus avoiding extra blanket changes and all the work that goes with it. The anti bacterial lining helps to keep the rug fresh and in good condition. The Bucas Celtic Stable Rug has an overlapping comfort front with double padding for extra protection with a Click'n Go closure buckle that's easy to open and close. The neck of this Bucas rug has darts in the fabric so that it's shaped to give extra room at the shoulders for the perfect fit. The Bucas Celtic Stable Extra Rug is a luxurious rug for your horse, add the neck cover to it and you'll have a super cosy, happy horse!